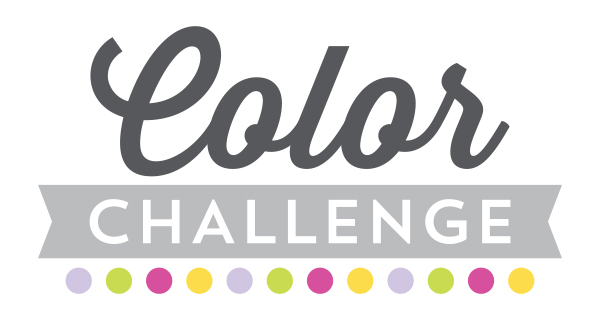 This challenge features sunny and bright hues to inspire you — Wild Wisteria, Limelight, Razzle Berry, and Lemon Drop. 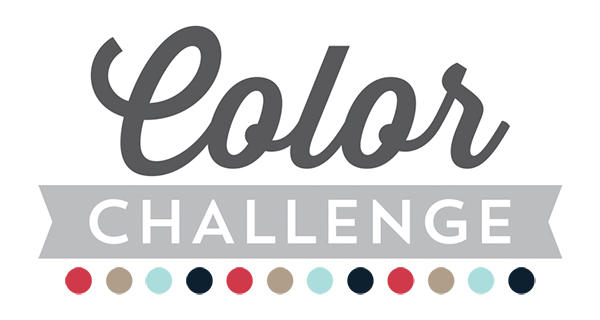 Your MFT Challenge & Inspiration Team is back with six fantastic cards using this color palette. Let's see what has been going on in their creative minds. Limelight serves as a vibrant hue for the grass in Alice's sunny scene. 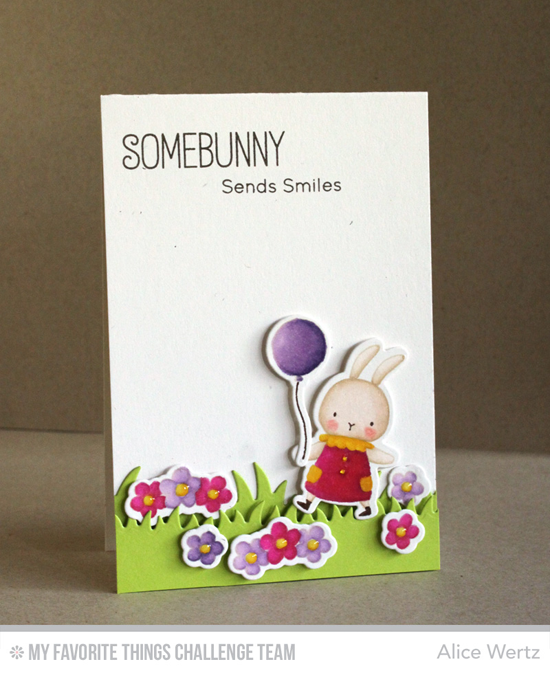 And what could be cuter than a cheery bunny (from the Somebunny set) with a Wild Wisteria colored balloon? The little pops of Lemon Drop are the perfect accent. 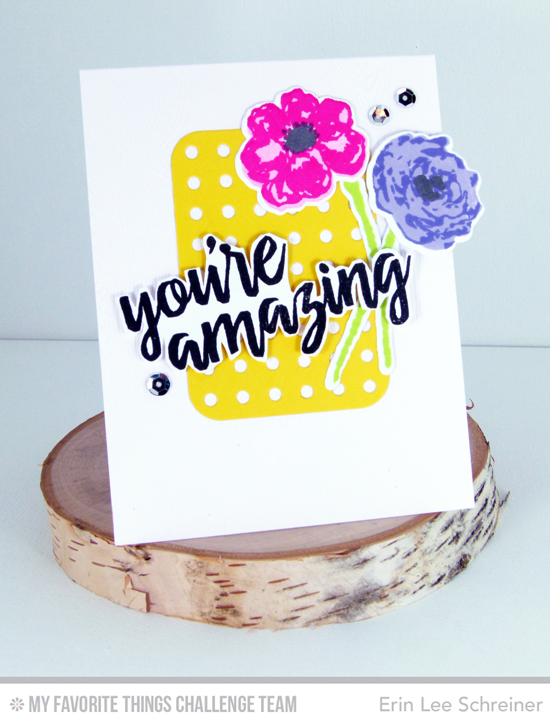 Erin Lee, in her traditional colorful style, created a bold card using the Watercolor Flowers stamp set. Pairing this palette with black gives her card a touch of sophistication along with the sequins she's added for sparkle. 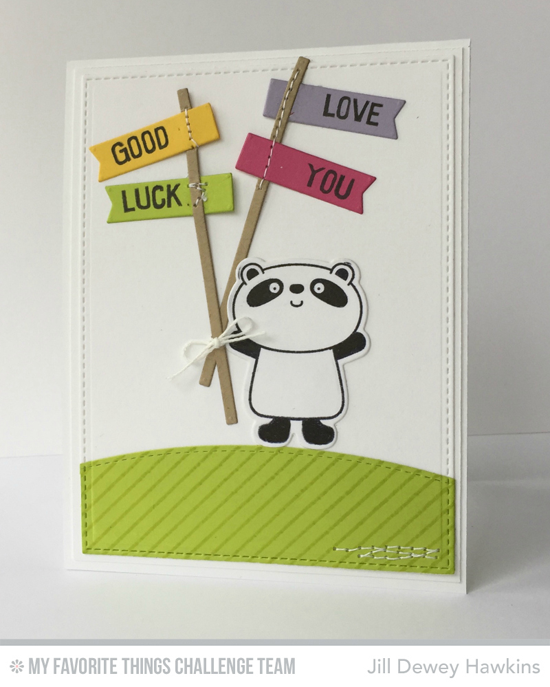 Use these colors on repeated elements like Jill did with the fun banners that our little panda pal (from the Happy Pandas stamp set) is holding. Stitch the banners onto the poles for a more finished look. Miriam proves that everything's coming up roses with her splendid bouquet of flowers in our color combination. The brand new Roses All Over background stamp is the star of the show on this delicious birthday card. And I love her use of vellum behind the Happy Die-namics to lend a softness to the design. 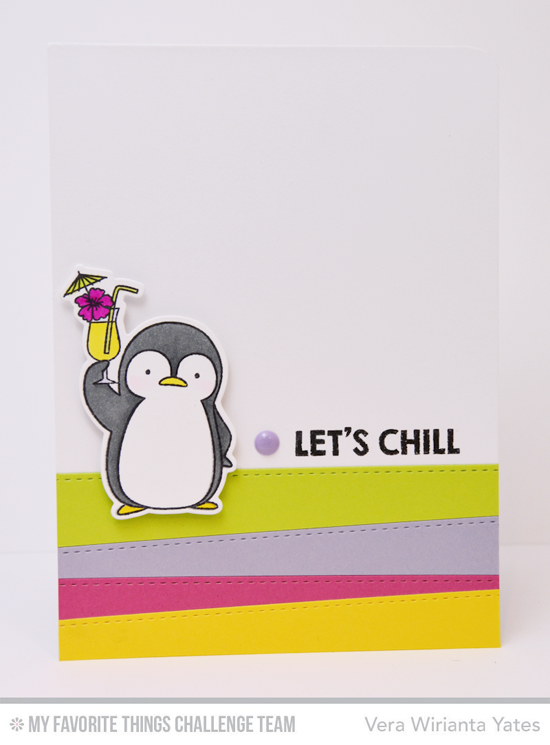 Vera used the Stitched Basic Edges Die-namics to create a vibrant and graphic background for this cool party penguin from the Penguins in Paradise stamp set and Die-namics. I love how she incorporated jaunty angles but then leveled it off to accomodate the straight sentiment. 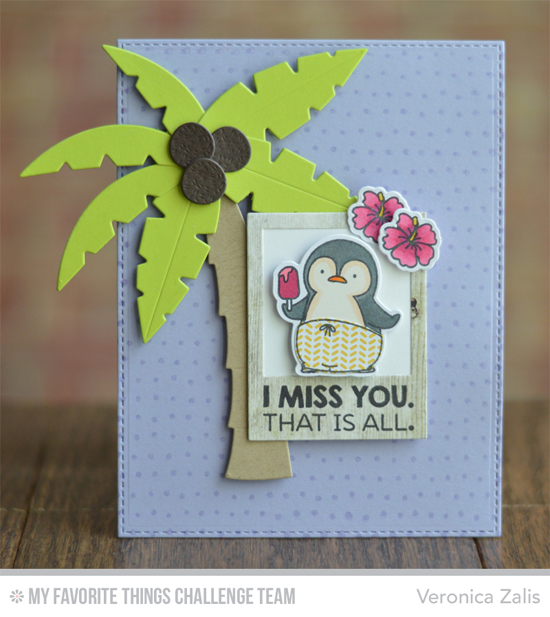 Veronica whipped up a tropical scene with the Palm Tree Die-namics (which consequently went directly onto my wish list! ), and she perched our penguin pal (from the Penguins in Paradise set) in a polaroid with a popsicle. Totally a fun take on this color combination, don't you agree? Congratulations, Lois Ichimura! You are the randomly selected winner of the MFT Color Challenge. You can view all the entries from the last challenge HERE. You have until Wednesday, June 24, at noon EDT to add your link and be eligible for the prize of up to $20 in MFT Cash. Winners are chosen at random, so everyone has a chance! The prize is a $15 Gift Voucher to My Favorite Things, but if you use MFT stamps and/or dies in your project, you’ll receive an extra $5. Watch for shout outs on the blog, too! We'll feature fun, unique, clever, and noteworthy projectts submitted to this challenge with design tips and trend talk. Who knows? You might be SPOTTED! Share your cards on Instagram, Twitter, and Facebook using the hashtag #mftstamps. Aw. How creative and fun to look at. So artistic.